Finance Costs > How Much Does a Forensic Accountant Cost? How Much Does a Forensic Accountant Cost? A forensic accountant will attempt to unveil the truth and will assist you in a financial investigation that is vital in court or mediation. For example, forensic accountants may be used for a divorce where money matters are in question. If there is a court case regarding fraud, a forensic accountant may be asked to investigate the situation and then present the findings to the court. Forensic accountants could also be hired by large companies if it is believed that someone in the company is stealing money. On an hourly basis, most forensic accountants are going to charge anywhere from $300 to $500 per hour. For something common such as a divorce, the entire process can well exceed the $3,000 price tag. On the other hand, basic data entry and admin work can be as little as $50 to $100 per hour. Many law offices may have a minimum retainer, which can start at $5,000, so be sure to ask about this before committing. An article on Rushmore Forensic claims that a forensic accountant could vary anywhere from a few thousand dollars to more than $20,000 once everything is said and done. Lawyers on Avvo.com said the price of a forensic accountant could start at $300 per hour and go up from there, depending on complexity and the nature of the work. Forensic accountants with a more intensive education from Ivy League schools are better compared to those from smaller or community colleges. After all, Ivy League schools have a reputation to uphold and only allow the students with the most promise. The number of years of work experience of a forensic accountant has is directly proportional to the number of cases with which they have dealt. Hence, an accountant is capable of handling any case if he has worked for more than 5 years as a forensic accountant. The more experience the accountant has, the more he is able to charge. However, this experience also means a better chance of success. As mentioned, a forensic accountant can work with so many cases, and just like a civil or criminal court case, the hours they have to put in will greatly vary. A simple divorce case could take as little as a few hours of their time, while others may involve hundreds of hours. As with most lawyers, plan on paying for every hour they work on your case. There are so many services a forensic accountant could offer. For instance, he or she could help you with commercial damages. They can also provide you with expert witness opinions when it comes to your lost profits. He or she can help you out with certain disputes such as a breach of contract, fraud, product liability, construction claims and/or intellectual property infringement. In addition, you could also ask a forensic accountant to help you in your personal injury claims. The role of a forensic accountant is to check the financial damages of the injured victim due to loss of earnings and the like. He or she, for example, could provide analysis brought about by medical malpractice and even wrongful death cases. Furthermore, the services of a forensic accountant could extend to shareholders and partnership disputes, commercial insurance claims, matrimonial disputes and business/employee fraud investigations. They could also uncover fake debt, overpaying creditors, underreporting income and even transferring money to a dummy corporation. Lastly, a forensic accountant can help with divorce matters. During this time, they can help search for hidden assets, look for inconsistencies and/or hidden income. Basically, a forensic accountant is going to play the role of both an accountant and a lawyer. To read a thorough description of this profession, Nysscpa.org has a breakdown. 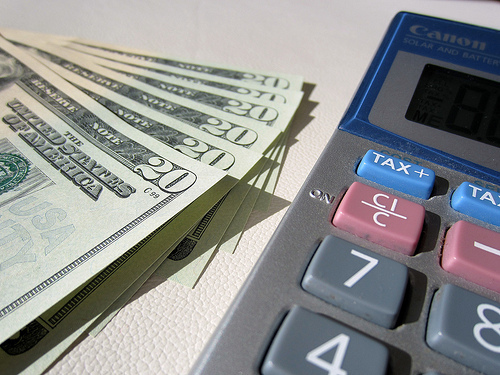 The extra costs involved in hiring a forensic accountant may include the filing of a lawsuit. There may also be other court fees involved. If you want more than one forensic accountant working on your case, it is going to cost more. However, if the amount of money involved is a large sum, the extra money spent may be well worth it. Additional travel time outside of the offices may be billed by the mile. The more complex your case, the more time your accountant will spend; therefore, the price you pay will increase. Hire a forensic accountant as early as possible. For all you know, the opposing party may have already hired one. Find a forensic accountant who is well-versed in accounting and financial analysis. A good forensic account should be keen with details, curious and have a fair professional judgment. Needless to say, your forensic accountant must also have good communication skills. To prevent further losses from your company or put your company in a protective measure, be sure to talk with a handful of forensic accountants. To find one, companies such as LegalMatch.com can match you up with qualified individuals in your area. Shop around and be sure to get at least three to five quotes before proceeding. Try to be as organized as possible. If you have all of your documents already organized, this can save hours of work for the accountant, which can save hundreds or thousands of dollars for you. If your forensic accountant does his job, you may end up getting your money back and then some.